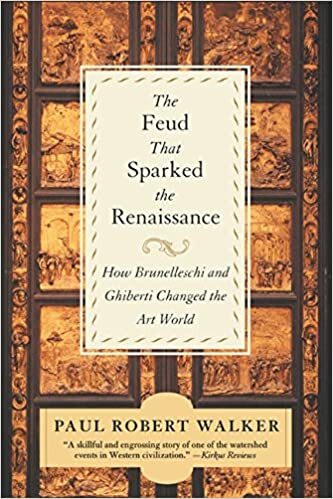 A lively and intriguing tale of the competition between two artists, culminating in the construction of the Duomo in Florence, this is also the story of a city on the verge of greatness, and the dawn of the Renaissance, when everything artistic would change. Florence′s Duomo - the dome of the Santa Maria del Fiore cathedral - is one of the most enduring symbols of the Italian Renaissance, an equal in influence and fame to Leonardo and Michaelangelo′s works. It was designed by Filippo Brunelleschi, the temperamental architect who rediscovered the techniques of mathematical perspective. He was the dome′s ′inventor′, whose secret methods for building remain a mystery as compelling to architects as Fermat′s Last Theorem once was to mathematicians. Yet Brunelleschi didn′t direct the construction of the dome alone. He was forced to share the commission with his arch-rival, the sculptor Lorenzo Ghiberti, whose ′Paradise Doors′ are also masterworks. This is the story of these two men - a tale of artistic genius and individual triumph.